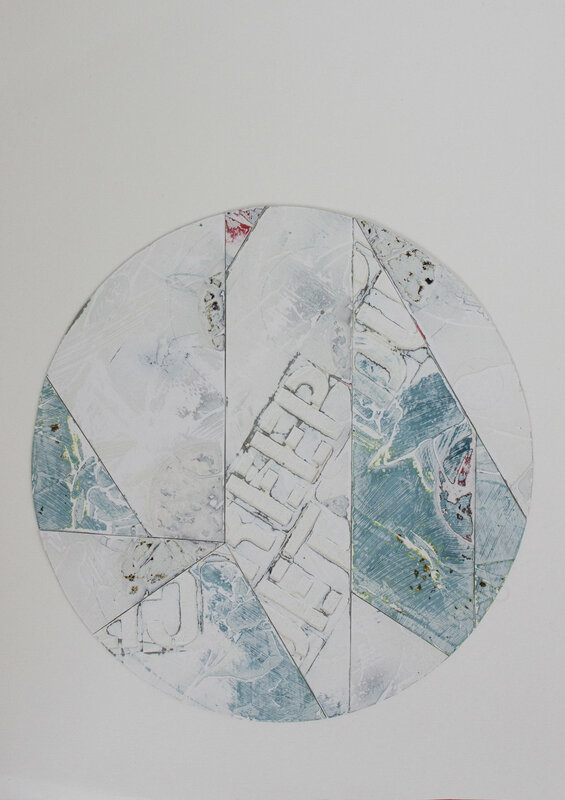 PLEASE DESTROY THIS - a collaborative project between the artists Jacob Juhl & John Reuss.The two artists are sending each other pieces of art by mail with an invitation to destroy, deconstruct, add, expand or reduce the art pieces. The project arose from the desire to have a common informal playground where the two artists could freely experiment with expressions and techniques, but relatively soon independent & interesting imagery emerged so Juhl & Reuss chose to promote the playground to an exhibition project. All works must be about 30x42 cm, all materials and techniques are allowed. Any treatment of the other artist’s work is allowed. The works are circulated between the two artists until one of them calls the work done. The works are not planned and are not discussed between the two artists. As an artist, you take only into consideration the available piece in its present condition. The artist who last worked on a work can not decide whether it is complete. This means if you decide to process a piece, it has to be sent back to the other artist who can then either deem the piece finished, or continue to work on it and return it. The completed pieces generated during the process are highly varied, and it is therefore an exhibition with a diverse expression. 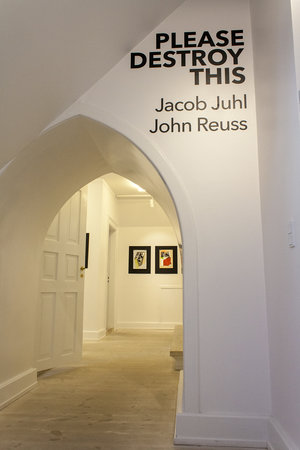 The works basically resemble neither works by Jacob Juhl nor by John Reuss. Many of the works have a high degree of texture, multiple layers, and a heaviness that bears testimony to the lengthy process and the many transformations of the piece. One senses the many different media and (unorthodox) techniques that have been used - photo collage, burning, red wine, chlorine, sewing thread and soil, just to name a few.